Grayson Allen, our projected conference and national player of the year, leads a Duke team capable of winning it all. But North Carolina and Virginia are close behind. Sports Illustrated’s 2016–17 preview is guided by data from our College Basketball Projection System, a collaboration between economist Dan Hanner and SI’s Luke Winn and Jeremy Fuchs. We project teams on a player-by-player, lineup-based level and then simulate the season 10,000 times to generate our 1–351 national rankings and conference forecasts. Find more about how our projection system works here, and read all of our 2016–17 preview content here. This version of the ACC could be one of the strongest conferences of all time, as it has a chance to tie or break the Big East's 2011 record of 11 NCAA tournament bids. The ACC has three serious national-title contenders in Duke, North Carolina and Virginia, and 12 teams in the top 50 of our yet-to-be-released national rankings. No other conference even comes close. Allen, our projected frontrunner for national player of the year, is the centerpiece of what looks like the nation’s best offense. We don’t expect his scoring average (which was at 21.6 ppg last season) to drop off much with the arrival of elite freshmen Jayson Tatum and Harry Giles III, either. Allen should play 30-plus minutes per game as Duke’s lead guard and regardless of who’s around him, he’ll always be the most efficient scoring option. Duke’s Tatum and Giles will give Smith some competition, but he’ll be dominating the ball for the Wolfpack, and we project him to average 15.4 points with a high rate of efficiency, along with 5.5 assists and 4.5 rebounds. Those are numbers reminiscent (and even a tad better) than what Chris Paul posted as a freshman point guard at Wake Forest in 2003–04. The Blue Devils are capable of allocating 100% of their non-garbage-time minute to players who ranked in the top 35 of the Recruiting Services Consensus Index for their class. Not even Kentucky can make that claim; that kind of quality depth makes Duke the clear favorite in the nation’s best league. And while a middling defense was the Devils’ downfall last season, a front line bolstered by the return of Amile Jefferson and the addition of Giles and fellow five-star freshman Marques Bolden should improve the D enough to chase their third national championship in eight years. The Tar Heels won’t drop off too far after their national-runner-up season. They could have the best offense in the country other than Duke’s—a balanced attack led by two super-efficient veterans in wing Justin Jackson and point guard Joel Berry, who along with Brice Johnson was their most valuable offensive player in the 2016 NCAA tournament. Memphis transfer Austin Nichols figures to add rim protection to a defense that ranked No. 7 nationally in efficiency last season and could be No. 1 this time around. Nichols also projects to lead the Cavaliers in scoring and rebounding—but senior London Perrantes is their leader and, along with UNC’s Berry, the league’s savviest point guard. The ascension of combo guard Donovan Mitchell and wing Deng Adel into big roles should make Louisville Breakout Sophomore U in 2016–17. The Cardinals don’t have a star on their front line, but they have so much size in 6' 9" Jaylen Johnson, 6' 10" Mangok Mathiang and Ray Spalding, and 7-footers Anas Mahmoud and Matz Stockman, that they should have the league’s best rim protection. 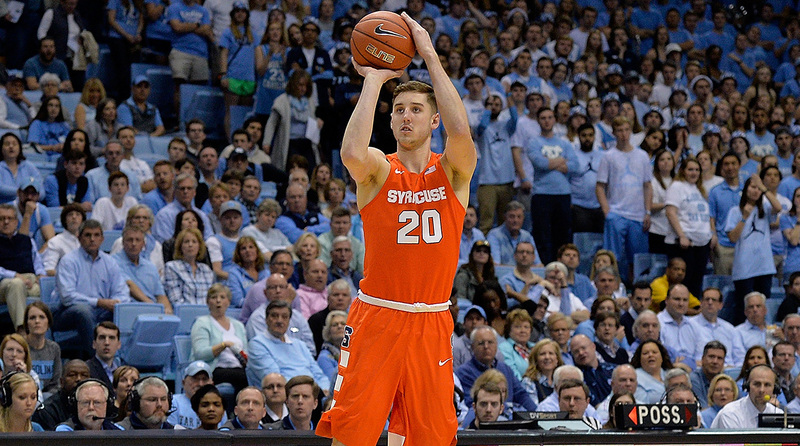 The Orange lack a projected All-ACC first-teamer—sophomore forward Tyler Lydon is the closest thing—but they have remarkable top-to-bottom talent. Aside from Colorado State grad transfer (and potential starter at point guard) John Gillon, every player in Syracuse’s rotation will be a former top-100 RSCI recruit. The Wolfpack finished 5–13 last season and lost leader Cat Barber, but SI projects them to improve with the additions of five-star freshmen Smith and Turkish import Omer Yurtseven (as long as he gets eligible), as well as the return of shooting guard Terry Henderson from an injury. This is an NCAA tournament and Top 25 team if everything breaks right. Junior guard Ja’Quan Newton is positioned to become the Hurricanes’ primary scorer now that Angel Rodriguez and Sheldon McClellan have moved on to the pros. Although Newton projects to take the most shots, it’s the high efficiency of wings Davon Reed and Anthony Lawrence Jr. that makes our system bullish on Miami’s offense. Senior forward Jaron Blossomgame ranks No. 7 in our national player of the year race forecast and is the league’s top veteran aside from Allen. If the Tigers are going to reach the NCAA tournament, they’ll need quality, small-role performances out of transfers Marcquise Reed (from Robert Morris), Shelton Mitchell (Vanderbilt) and Elijah Thomas (Texas A&M, eligible in December) in support of Blossomgame. The Hokies finished last in the ACC in Buzz Williams’s first season, reached the NIT in his second, and now appear capable of breaking through to the NCAAs. Star Zach LeDay is a 6' 7" tweener forward akin to what Williams had in Jae Crowder at Marquette: capable of scoring from inside and out, rebounding and blocking shots. 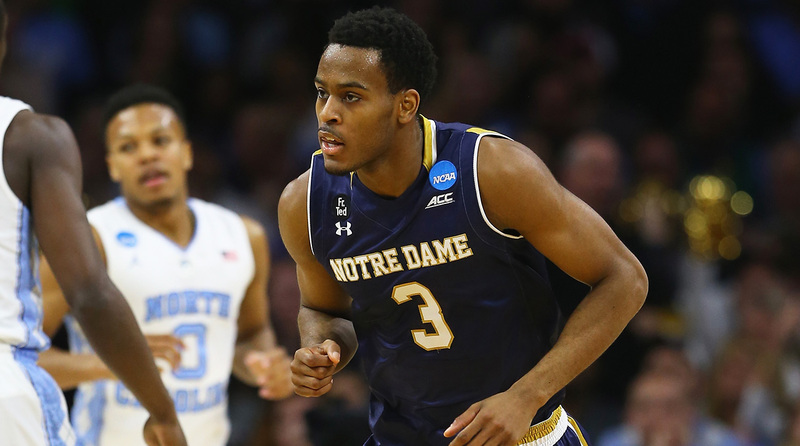 This doesn’t look like one of Mike Brey’s greatest teams, but there’s enough offensive firepower to overcome glaring size issues on defense and get on the NCAA bubble. Unconventional, 6' 5" center Bonzie Colson Jr., who averaged 11.1 points as a sophomore in an auxiliary role, projects to become of the nation’s most efficient, high-usage frontcourt players. Sophomore guard Dwayne Bacon actually averaged more transition points per 40 minutes (7.4) than Oklahoma’s Buddy Hield did last season, and Bacon, Xavier Rathan-Mayes and Jonathan Isaac give the ‘Noles a solid offensive 1-2-3. Their frontcourt will need to outperform middling projections if they’re going to finish in the top half of the league. New coach Kevin Stallings has indicated he’ll experiment with 6' 7" senior Jamel Artis—formerly a small forward—as the Panthers’ starting point guard. Our projections think it’s a smart move. Artis had Pitt’s second-highest assist rate after departed floor general James Robinson last season, and shifting Artis to the 1 should allow Pitt to keep more talent on the floor rather than relying on an untested underclassman at the point. The Demon Deacons should be significantly improved from last season, when they went 2–16 in the ACC and finished 118th in efficiency on kenpom.com. Big man John Collins could be the league’s biggest breakout sophomore after Louisville’s Mitchell and Adel. The bad news is that the ACC is so loaded that Wake’s gains may only translate into a one-spot jump in the standings. New coach Josh Pastner improved conferences, but not teams, by departing Memphis for Georgia Tech. The Yellow Jackets only have one former top-100 RSCI recruit on their roster—junior shooting guard Tadric Jackson—and will need a multi-season rebuild to end their nine-years-and-running streak of finishing under .500 in the ACC. The few good things we can say about the Eagles, coming off an 0–18 finish in the ACC: They have enough depth this season to potentially win a couple of league games and finish slightly higher in the 1–351 rankings than Rutgers, which projects to be the worst major-conference team for the second year running.